Designed to sharpen shaving cutters and to grind master gears using the generation method, the GS 400 tool resharpening machine is the fourth generation of its kind and sets new standards in terms of precision, reliability and user-friendliness. 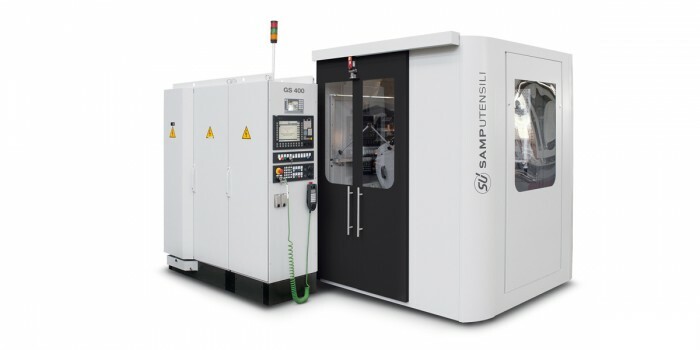 Samputensili interpolation software calculates the profile to be grounded and coordinates the linear movement of the transverse slide with the rotary movement of the work spindle. The resulting roll motion is steplessly adjustable in terms of the roll diameter, and indexing blocks are no longer required. Roll motion and index movement are now numerically controlled and both generated by the same motor. 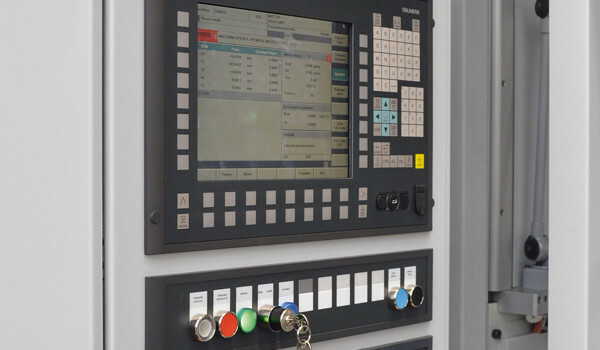 All movements are actuated by linear and rotary digital drives. An integrated measuring unit automatically checks the quality of the first tooth ground without having to unclamp the workpiece and waste precious time. The GS 400 tool resharpening machine is available with an axis X11 CNC. 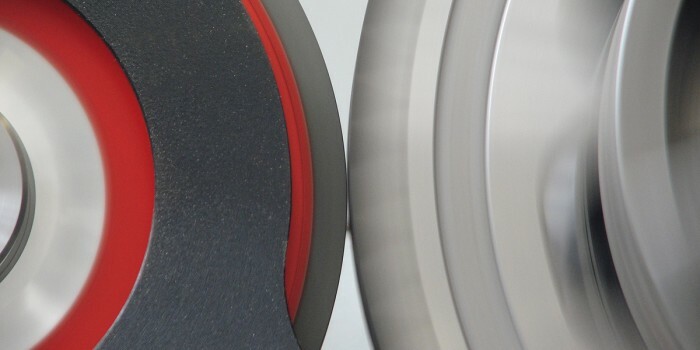 This new axis makes it possible to grind larger tooth widths whilst enhancing the quality of the finish. Moreover, machine set up is also quicker. Why set yourself limits? We look forward to illustrating you the advantages of the new GS 400.